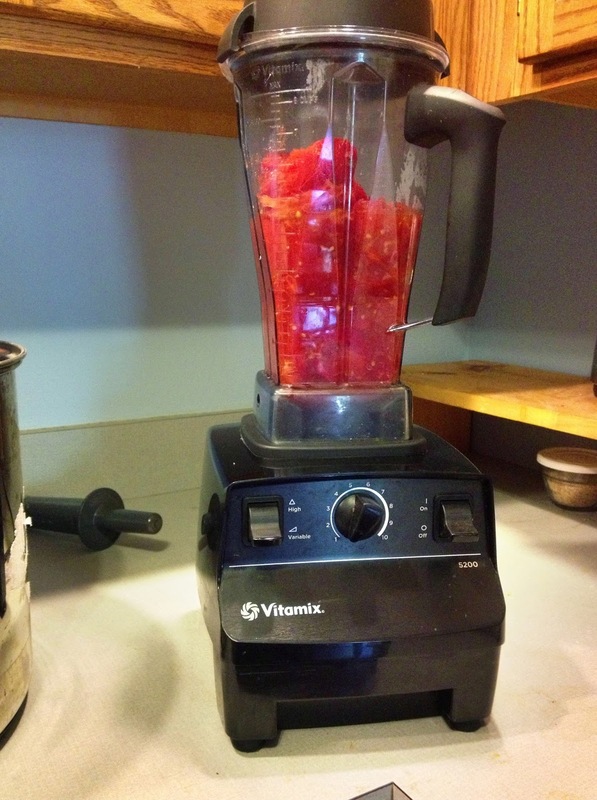 I'm sure I could do this without electricity and my Vitamix; it just wouldn't be as much fun. In case you were wondering, I'm a vital piece to our zombie apocalypse team. I will keep you warm (knitting), make you rugs and blankets (weaving), preserve your food, and keep the zombies off your back while I'm doing it. Don't try to get me to butcher anything, though. You'll have to find someone else to do that.